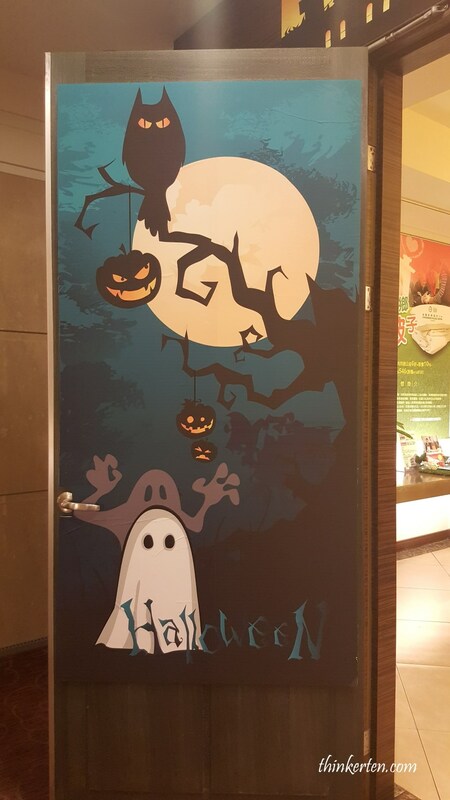 There was good Halloween atmosphere once I entered the restaurant for my breakfast because Halloween was just around the corner. 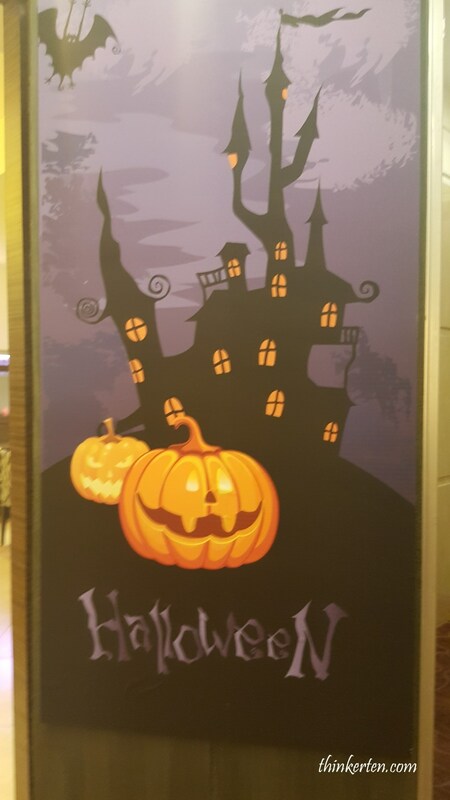 I found some cute Halloween seals at the hotel. The variety of breakfast was awesome, there were Japanese including my favorite udon and sushi, Taiwanese local delights and last but not least, the western. This hotel gives us the best variety of breakfast during my 8 days stay in Taiwan. Tainan to Alishan, stopping at Fenqihu. Our journey was a bit challenging as we need to drive from Tainan to Alishan. 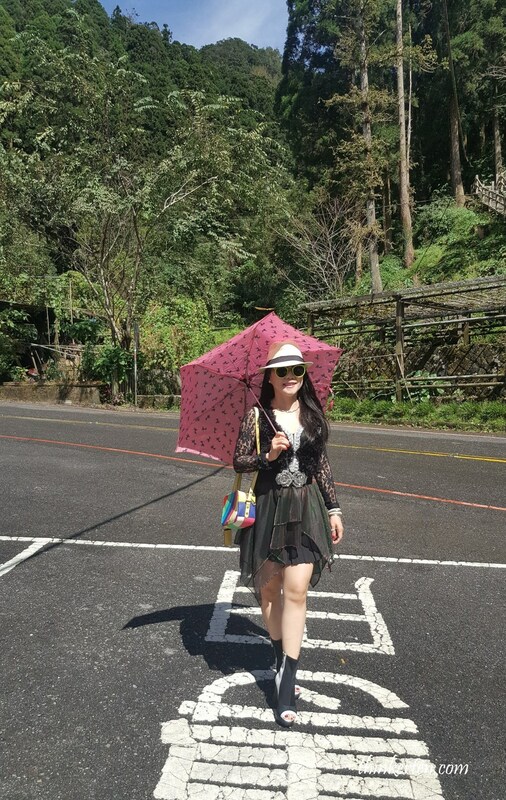 Driving in Alishan is no joke, the roads can be very twisted and there were many sharp turns. 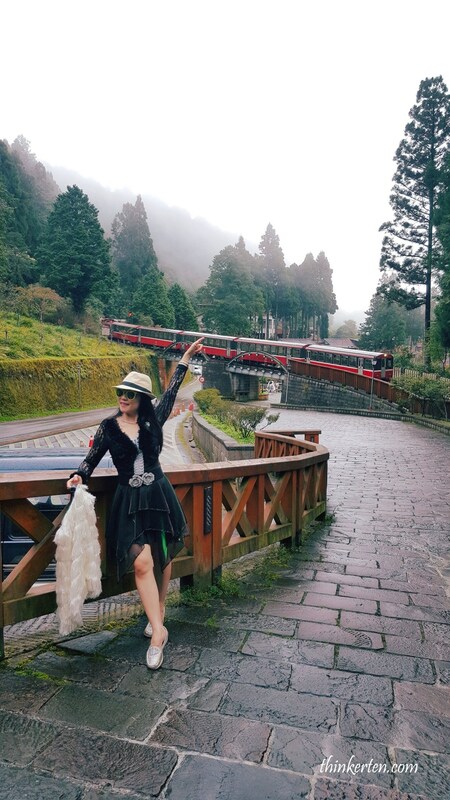 Despite the challenge, we still have no regrets driving to Alishan because we can have the luxury of stopping along the route and take pictures, enjoying the beautiful views. 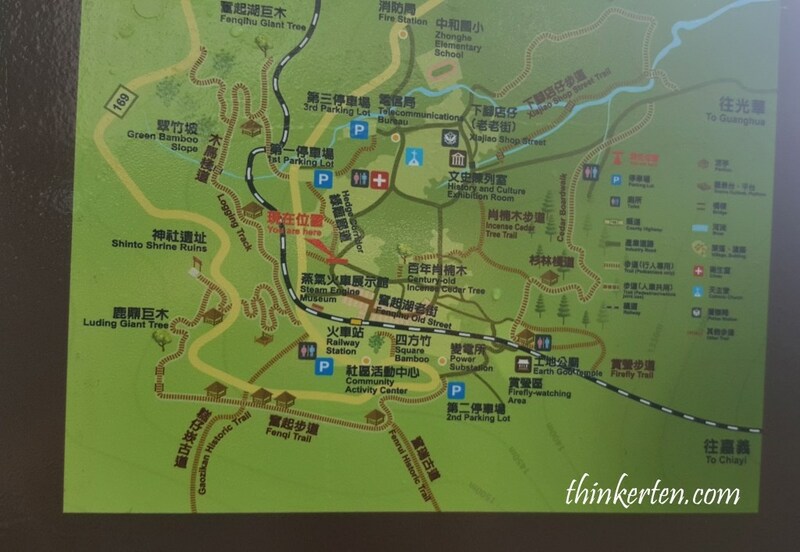 Fenqihu is just one hour drive before reaching Alishan, also known as Jiufen of Central Taiwan. It is a great stop for few hours before heading up to Alishan. We decided to have a break here. Fenqihu has a famous Old Street, look like the one in Jiufen, except smaller and very narrow, selling different kind of local delights. Fenqihu is a small village well hidden in the forested mountain sides. After we parked our rental car, we searched for the hidden Old Street and planned to have our lunch there. We had the famous Fenqihu lunch box, which included a deep-fried cutlet/kurobuta -black pork, Taiwanese sausage and some mountain veggies on rice. Coming to Fenqihu, we won’t want to miss the famous Aiyu Jelly drinks, it is a must try drinks here. The temperature in Fenqihu was quite cooling and nice, around 25 c but I felt a bit warm after some high intensity hiking with all the stairs going up and down. I then took off my cardigan and took a picture with the beautiful scenes of lush green tropical trees behind me. The Fenqihu train station is just near the Old Street, within walking distance. The train is still in operation but only a short stretch, mainly for tourists. 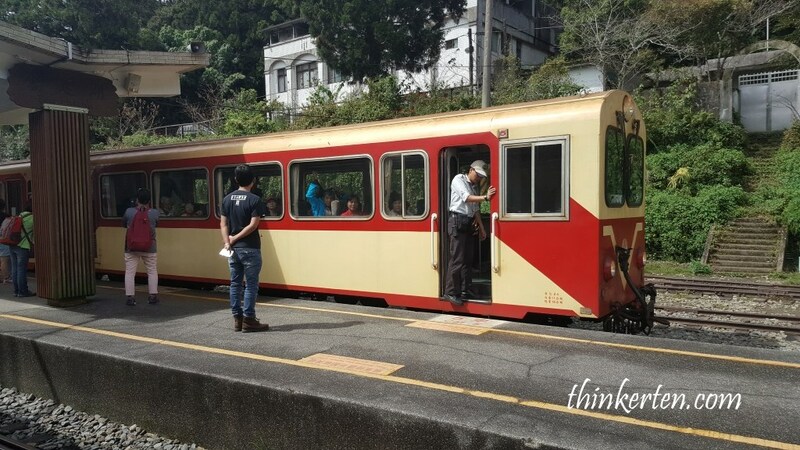 The train look very much like the one I saw in Japan, mainly because Alisan Forrest Railway was first established during the Japanese colonial period. The Japanese built and used the train for many kinds of raw material exports, most importantly wood. 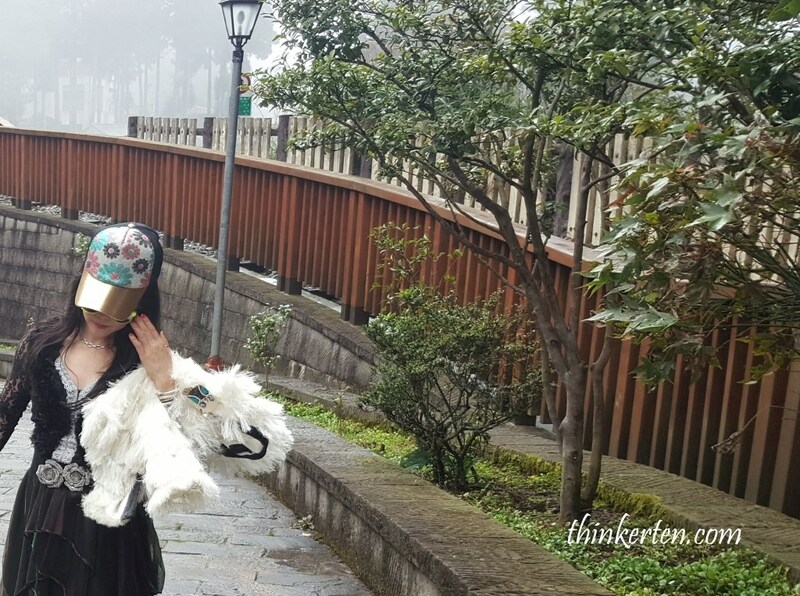 The weather was unpredictable when we arrived in Alishan, the sky started to drizzle. It was foggy from time to time. 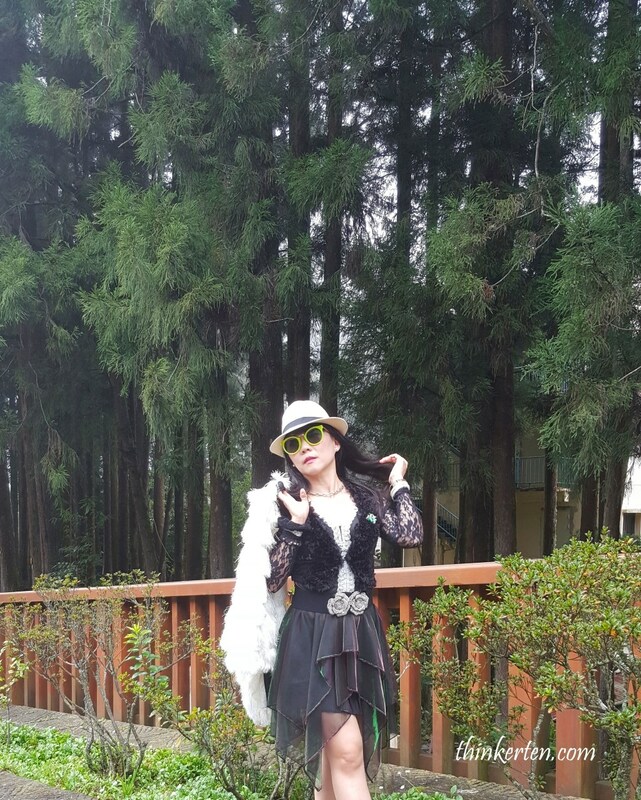 We went for a forest trail and enjoyed the fresh air in Alishan forest. The weather get cooler, around 15-18 C once you were in the forest. Geared up with another white jacket to keep me warmer. Cypresses and Cedars forest are awesomely photogenic in Alishan mountain. I heard the mountain has one of the most spectacular views for sunrise and sunset but it was ashamed that we did not stay overnight in Alishan. Watch out for the red train coming from my back! The cold weather was just so suitable to have the famous Alishan coffee. 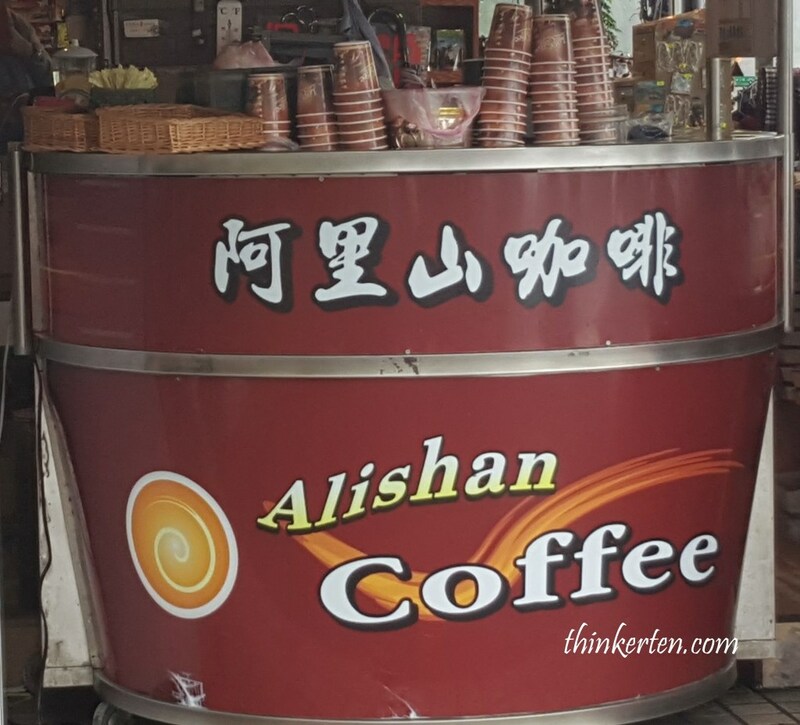 I heard from the stall the coffee beans are organically grown and hand picked in Alishan and is characterized by a rich sweet taste. We then had the steamboat buffet in Alishan before going down the mountain. We were trying to leave early before it get too dark and too foggy. Going down from Alishan can be quite challenging, stand by some motion sickness pills is my advise. Tonight we stayed in Renyi Lake Hotel. We reached our hotel at around 5pm and had our dinner there because we were all too dizzy after the mountainous rides. We were so dizzy that we did not manage to explore the nearby Chiayi night market which we had already planned in our itinerary.